The ring fit may vary depending on the ring type due to the presence of stones or of a particular manufacture that may either increase or reduce the ring’s wearability. Following, you may find the international ring size conversion chart including Pomellato sizing. 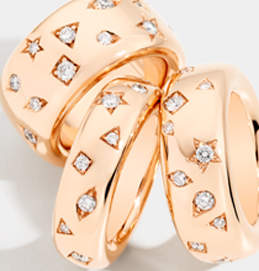 How can you find out your perfect ring fit? 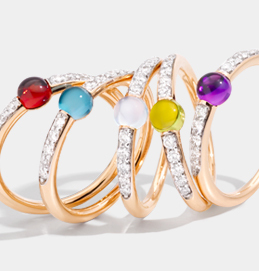 In order to find out your correct ring size, you should either accurately measure the interior diameter of a ring you usually wear or download our guide and search for the equivalent Pomellato sizing below. 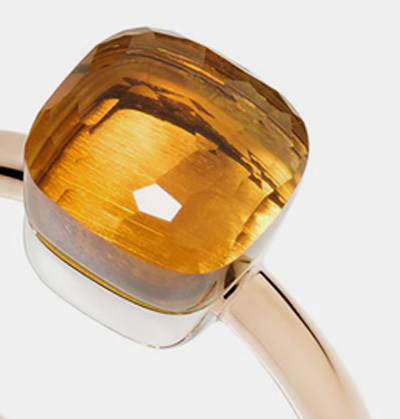 If, for example, the interior diameter of your ring measures 16.56 mm, the equivalent Pomellato sizing will be 52. If the measurement of the interior diameter you took results in between sizes, you should select the largest of the two. Choose the collection and sizing from the menu below to find out which ring size you should order for a specific style. Standard: the ring fit corresponds to standard ring size. Roomy +2: the ring fit is very large (up to 2 extra sizes). We recommend you order two sizes smaller than your normal ring size. Roomy +1: the ring fit is quite large (up to 1 extra size). We recommend you order a size smaller than your normal ring size. Roomy: the ring fit is large. Standard / Roomy: the ring fit is slightly larger than standard ring size. Standard / Tight: the ring fit is slightly tighter than standard ring size. Tight: the ring fit is tight. Tight +1: the ring fit is quite tight (up to a size smaller). We recommend you order a size larger than your normal ring size. Tight +2: the ring fit is very tight (up to two sizes smaller). We recommend you order two sizes larger than your normal ring size. Every collection displays the range of sizes ordinarily available (range standard). If you have any further questions or cannot find your ring size, please contact our Customer Service (link).